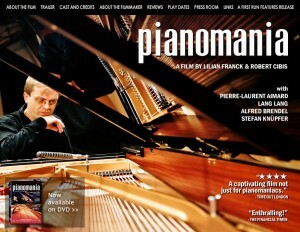 We are excited to present a screening of the wonderful documentary Pianomania! Whether you’re a seasoned musician or a classical music newbie, this film is fascinating and particularly relatable if you find yourself in a profession that requires extreme care and attention to detail. Pianomania takes the viewer along on a humorous journey into the secret world of sounds, and accompanies Stefan Knüpfer at his unusual job with world famous pianists like Lang Lang, Alfred Brendel, Rudolf Buchbinder and Pierre-Laurent Aimand, among others. To find the right instrument with the necessary qualities, compatible with the vision of the virtuoso, to tune it to perfection and finally to get it on the stage, needs nerves of steel, boundless passion, and the extraordinary competence in translating words into sounds. This is a FREE event! Come join us.